Martial Arts and Self-Defense Books - Books on Sports - Sport Books: Catalog of books about your favorite sports. 2019 Martial Arts and Self-Defense books on sale now. Buy your 2019 Martial Arts and Self-Defense books with us today. We have many Martial Arts and Self-Defense books to choose from and each purchase comes with the ease and convenience of Sportspool's online experience. We hope you find the Martial Arts and Self-Defense book that is perfect for you! "The first authoritative, A-to-Z guide to today's #1 international media icon The 'Clown Prince' of martial arts and the world's top-grossing movie star, Jackie Chan has been delighting audiences with his two-fisted, high-velocity action comedies for more than three decades. 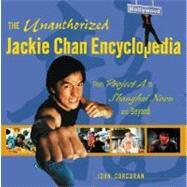 'The Unauthorized Jackie Chan Encyclopedia offers you and millions of other fans a first comprehensive look at everything Jackie. This lively and informative A-to-Z reference was carefully researched by martial arts expert John Corcoran and features photographs of Jackie Chan taken throughout his career." The text provides a healthy description of personal defense and provides a basic introduction and application of selected personal defense skills. Each student should be able to complete an assessment inventory of personal awareness and safety attitudes upon course completion. 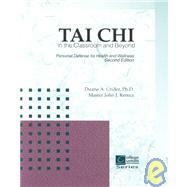 The author is in the Health and Physical Education Department at Kutztown University and the co-author is a Tai-Chi master.